After last year's sold-out shows, The Portland Ballet is reviving its holiday hit, "The Enchanted Toyshop," Thanksgiving weekend in a double bill that will also feature a new ballet, "Tourbillon," by co-artistic director Anne Mueller. Poppy Coleman, 14, has been studying ballet for eight years. This is her sixth year with TPB in the Youth Company. She has attended summer programs at the School of American Ballet, the School of Oregon Ballet Theatre and TPB. Ben Dunlap, 13. This is Ben's first year at TPB. He has performed with Missoula Children's Theatre and Northwest Children's Theater, has trained at Spotlight Musical Theatre Academy and will be performing in Orlando, Fla., as part of Disney World's National Performing Arts Festival, as part of the musical theater cast and as a solo singer. Dani Hubin, 13, has been studying ballet for six years; this is her third year at TPB. She has also studied at June Taylor's School of Dance and BodyVox. 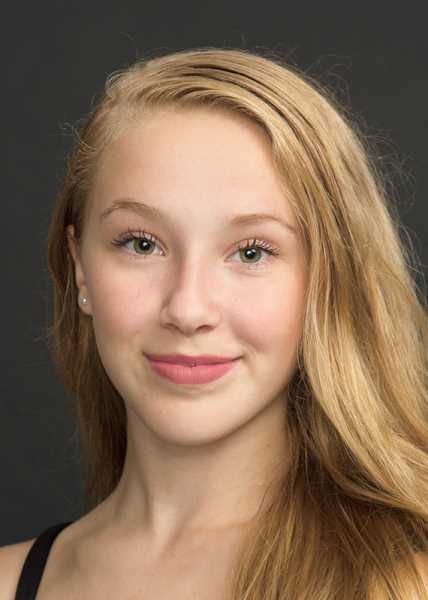 Elliana Kirk, 14, has been studying ballet for six years and this is her second year with TPB, where she is in the Career Track program for pre-professionals. She's attended summer programs at Pacific Northwest Ballet and TPB. Hana Mandelbaum, 13, has studied ballet for seven years, all with TPB. Joaquin Pacheco, 13, has studied ballet for six years, all at TPB. Sebastian Pacheco, 15, has studied ballet for seven years, six of which have been at TPB. He has also studied at Lakewood Center for the Arts. 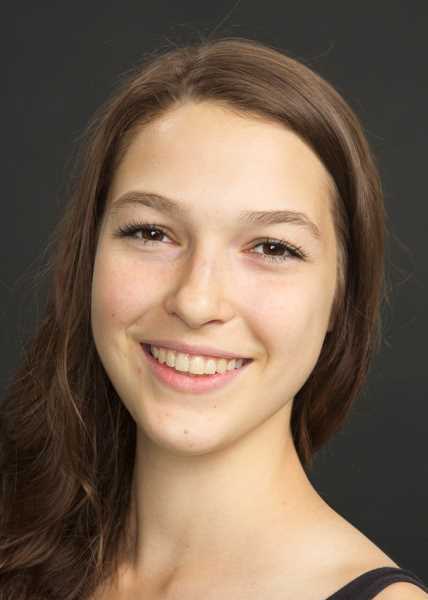 Olivia "Rosie" Pedersen, 18, has studied ballet for nine years, and this is her first year at TPB, where she is in the Career Track program for pre-professionals. She has attended summer programs at Sultanov Russian Ballet Academy, Ballet West and International School of Ballet-Georgia. In addition to the ballet students, Jose Pacheco and Dawn Thompson, parents to Joaquin and Sebastian, will also be performing in "The Enchanted Toyshop." It's become somewhat of a tradition for the entire family to take part in TPB's holiday show. 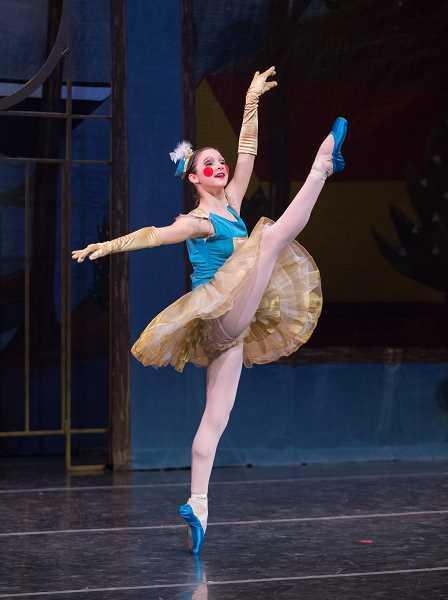 In the ballet "The Enchanted Toyshop," the magic begins when two children are accidentally locked in a toyshop, and Pinocchio reigns over a parade of toys that come to life to entertain the guests. Playing cards, poodles, Pierrots and Russian nesting dolls are all part of the fast-paced fun. Choreographed specifically for TPB by John Clifford, "Toyshop" (formerly known by its French title "La Boutique Fantasque") charmingly showcases various skill levels and international dance styles. Since its premiere in 2003, "Toyshop" has become TPB's signature showpiece, a favorite of family audiences and academy dancers. Mueller's celebratory new "Tourbillon" will showcase 27 advanced dancers in four pieces set to rarely heard music by Joseph Lanner, an Austrian dance composer from the early 1800s who helped spark the popularity of the waltz. He was a contemporary of Johann Strauss I and a predecessor of "The Waltz King," Johann Strauss II. "Die Romantiker-Walzer" and "HoffballtÍnze," which make up the opening and closing segments of the ballet, evoke the swirling grace of a Viennese ballroom. The ballet will feature two waltz sections, a galop and a polka. As Lanner's music isn't widely performed, PSU Orchestra conductor Ken Selden created orchestrations of the four selections, working from piano or string quartet scores. For choreography, Mueller pays homage to a number of the great ballets that honor and celebrate social dance, such as "Graduation Ball" and "The Merry Widow." She drew inspiration from the look of a 1950s cotillion, costuming the ladies in the cast in colorful ball gowns, with white evening gloves and elegant, petite, jeweled crowns. "I'm challenging myself to use the costuming of the ballet to help give the choreography its structure," Mueller said. "We'll be using lovely gowns for the advanced ladies in the piece, built in sets of two or three of each color (light blue, dark blue, purple, pink, gold, and green). Rather than keeping each grouping together throughout, I'm experimenting with intermittently mixing and restoring the color groups. My hope is that this will add another layer of choreographic interest to the piece." The concerts will be performed Nov. 24-26 at Lincoln Performance Hall at PSU, 1620 S.W. Park at Market in Portland. Friday and Saturday performances are at 2:30 and 7:30 p.m.; Sunday performances will be held at 1 and 5 p.m. Tickets range from $5 to $35 and can be purchased online at theportlandballet.org or by calling 503-750-3157. Providing professionally-produced performance experience has been at the core of TPB training since the company was founded in 2001. TPB continues to nurture stand-out dance talent for students ages 3-22, and many go on to professional companies and conservatory programs around the world. These performances are rare opportunities to see the next generation of dance stars. Anne Mueller became co-artistic director of TPB in 2015. She enjoyed an 18-year career as a nationally recognized ballet dancer. She was a principal dancer with Oregon Ballet Theatre, where she performed leading roles in works by Balanchine, Robbins, Kudelka, McIntyre, Fonte, Tharp and Wheeldon, among many others. Mueller had a rich choreographic synergy with OBT's former artistic director Christopher Stowell, which resulted in numerous roles, most notably "Rite of Spring." She served on the artistic staff of OBT from 2008 to 2013, culminating with a stint as interim artistic director. She was a co-founder, company artist, and managing director of Trey McIntyre Project. She toured with TMP to Wolf Trap, Jacob's Pillow, and Vail International Dance Festival, receiving critical mention in The New York Times. Mueller's choreography has been performed by TPB, OBT, the School of OBT, Alabama Ballet, BodyVox, and others. She has staged works for Stowell, McIntyre, and Nicolo Fonte for companies such as The Washington Ballet, Diablo Ballet, Ballet West, Tulsa Ballet, Perm Opera and Ballet Theatre (Russia).